It is likely by now you have read through many news outlets that Disney acquired Lucasfilm today through a cash and stock purchase. As a Disney fan I cannot be more excited! Star Wars, as we first knew it was one of the first movies I remember seeing in the theater and dominated my play as a kid. And though I walked away from serious fandom as a young adult, Star Wars was always there to entertain me when needed. As a father I have been able to rediscover the Star Wars universe with my children. 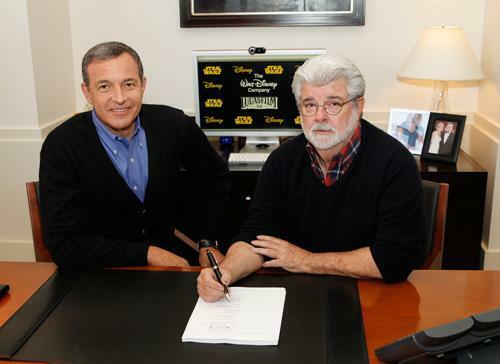 I honestly could not be more excited about what Disney may do with the Lucasfilm properties, especially Star Wars. 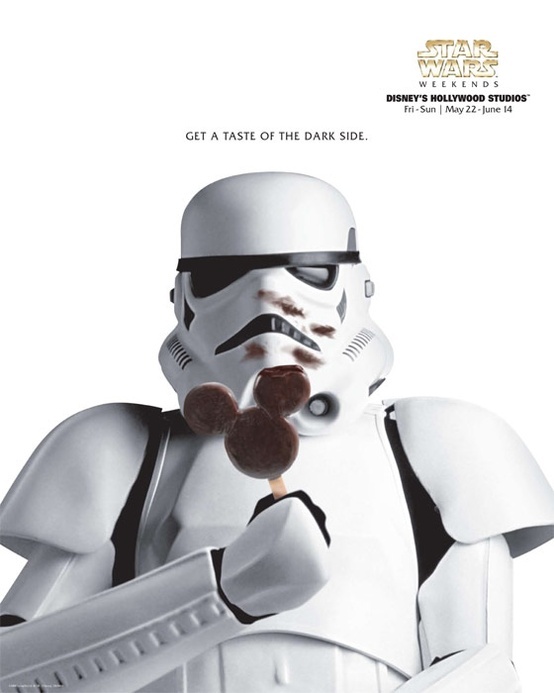 · Feature Films: Star Wars Episode VII was revealed with the announcement of this acquisition for 2015. And it has been confirmed what many of us initially assumed, Star Wars comes in threes! Story treatments have already been developed for a full new trilogy. Kathleen Kennedy will be executive producer for these new films, with George Lucas consulting. This will effectively be the first time that canon will be developed outside of Lucas’ full creative control. But there are opportunities for other films. Captain America: The First Avenger director Joe Johnston started his career at Lucasfilm. He would like to helm a Boba Fett feature. Fett is special to Johnston as he designed the bounty hunter’s armor. With his success for Disney in the Avengers franchise (along with the cult favorite The Rocketeer), maybe Disney would green light this dream project. So maybe there are other films in the hazy future. Of course other franchises other than Star Wars will be impacted. The Indiana Jones property could see new films in the future. But I believe other potential projects will be killed. To me as a complete outsider I believe this seals that a John Carter trilogy will never happen. Why would Disney invest in a Star Wars like franchise when they own Star Wars? Despite the fact that the original Edgar Rice Burroughs books inspired Lucas, one of the chief complaints was critics felt the Disney film was a copy of Lucas’ franchise. One thing I wonder about is 3D. We got Star Wars: Episode I The Phantom Menace last winter. But I have really not heard any news about Star Wars: Episode II Attack of the Clones. At one time they talked about a yearly release plan. Does Disney shelf this as results with the first release were good but not great. Or do they use their experience, that includes winning the weekend war with 3D animation rereleases, and continue to give us the 3D releases? I also think it is important to call out that in the personal history of both Walt Disney and George Lucas is a shared thread of improving the technology of movie making. Along with the movie franchises Disney now owns Industrial Light and Magic, Skywalker Sound and Lucasfilm’s other business holdings. I hope the Mouse continues to respect the genius of both men and support technology improvements, which enriches our viewing experiences. · Theme Parks: Lucas has been working with Disney for decades to provide theme park attractions globally. In fact he has stated he believes Star Wars should have a theme park but he lacked the finances to afford building a park on par with Disneyland and other Disney parks. And this deal means Disney fans will see more Lucas in the parks. I believe the park that will benefit the most in the United States will be Disney Hollywood Studios in Orlando. The area around Star Tours is ripe for a Stars War Land. Past rumors have included the Cantina (but can you eat with Greedo) and an expanded Jedi Training Academy (which Orlando really does need). But what other treasures could there be in store other than shopping experiences? At the Disneyland Park to me the possibilities are more limited. Star Tours is there, along with a large shop. But would anyone really want to remove Space Mountain for a Star Wars themed coaster? Though I admit a seasonal overlay for May 4th would be really awesome. Additionally, would they remove Autopia for a Pod Racer or Speeder course? I hope not, since it’s really the only opening day attraction still there in Tomorrowland. Innoventions would be an ideal location for something Star Wars. But I personally would prefer to bulldoze that and put either the Stark Expo or an Iron Man coaster in its place! 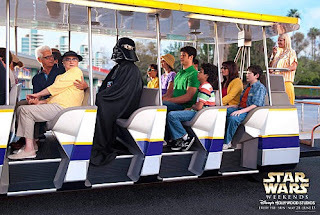 I also believe this means Star Wars Weekends will continue with no hitches. I would say they would only be better in the future with Disney having contacts in house. But honestly, the cooperation on these events has been pretty good so I do not know how they could even be done better. But maybe, this could mean an opening for a California version of the event. Or maybe meet in greets with Star Wars characters will happen all year round. This acquisition will also keep the presence of Indiana Jones firmly in place in both U.S. resorts. Indiana Jones keeps getting lost in this deal, but as good as Star Tours is Indiana Jones Adventure: Temple of the Forbidden Eye is just as good and for some guests better. Can we officially get rid of Avatarland now? Disney owns Star Wars, can guarantee that future movies will come out and it is a better property. Can this door be closed? One open question I have is what does this mean for the Legoland family of parks? They have developed Star Wars themed attractions. Will their contracts allow them to keep them? Will Disney? Disney has a working relationship with Lego, liscensing for example the Pirates of the Caribbean Lego game but will this relationship continue? · Television: I am a big fan of Star Wars: The Clone Wars. But I think fans can acknowledge that it probably has only two more seasons beyond this one at the most. The stories are simply getting closer and closer to Star Wars: Episode III Revenge of the Sith. One of my thoughts when coming to terms with this is what happens to supervising producer Dave Filoni. Filoni is a Star Wars fan, a skilled storyteller, and one of the few to have had Master Star Wars classes with Lucas. Disney understands story and values storytellers. Could Filoni become a John Lasseter for Star Wars animation? I hope so. At the last Star Wars Celebration they showed to fans that had kids samples of a show called Young Jedi. This program would feature Ahsoka as a mentor to younger padawans. And it is just the sort of thing that sounds Disney! It easily could find a home on Disney XD. Maybe reruns of Star Wars: The Clone Wars could find a home there too, as we have seen with some Marvel animated titles. And they have done a nice job with original animated title in Disney XD like Ultimate Spider-Man. It is a match made in heaven! Of course Star Wars Detours needs a home. Honesty Cartoon Network I did not want you to have it. The channel may be claiming to be reviving Saturday morning cartoons. But what I have seen in the last year is taking prime time programming like Star Wars: The Clone Wars and Young Justice and hiding it. Even my DVR is confused! But Star Wars Detours would look fantastic on the Disney Channel playing in a block with Gravity Falls. · Everything Else: This is a big deal. These are big rich companies so a lot of thoughts come to mind. Some of the other misscelanous include such thoughts as will there be a Mickey/Pixar/Muppets/Star Wars/Marvel crossover of some type. My guess is maybe someday but not quickly. To date there has only been one Disney/Marvel crossover and that was the Avengers and the elves from Prep & Landing. Will Star Wars comics return to Marvel? Will Disney Publishing take over the Expanded Universe? I think those two will be tied to what current contracts allow and if licensing is more profitable than full production for Disney. It is not like Disney is recognized as a publisher of science fiction novels. And we will get the original theatrical releases on Blu Ray? First of all, Disney has shown willingness to listen to creative voices in the past. And George Lucas is not just a Disney fan, he’s part owner now. So I am guessing that until Lucas gives the green light, that would be a no! I think there is a good chance I have your attention now! Amazon won. Placed amongst the recommended titles for me recently was Walter Bosley’s Latitude 33: Key to the Kingdom. The description hinted at magic fairies, time travel and my favorite vacation location all in one. And for 99 cents on Kindle, it was worth a chance. 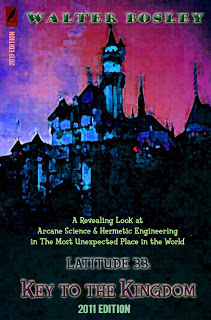 Walter Bosley in Latitude 33 theorizes that something wonderful and supernatural was included in the original plans for the Disneyland Park. He writes, “Maybe Fantasyland was designed to serve as a literal gateway between dimensions by virtue of what populates it (Bosley, Loc 1119).” Walt Disney welcomed his guests to enter a new and different land when they entered his theme park but Bosley argues that a real gateway existed from the parks opening in 1955 until 1982. Bosley believes that he himself experienced the effects of this gateway as he met a gentleman he believed was Alfred Watkins, the discoverer of geographic lines of power called ley lines, in 1980. Watkins had died 45 years earlier! How could something magical be happening in the beloved theme park? First, the theme park falls within latitude 33, well known for reports of the supernatural ranging from ghosts, fairies, aliens and more. Additionally, someone realized that the location of Disneyland included the intersection of three ley lines. And that someone created a supernatural portal within Fantasyland, which Watkins used to enjoy the park in 1980 years after his own death. A kinetic device, the King Arthur Carrousel, sat upon the intersection of the three ley lines in the park, powering a portal that could have allowed time travel or journeys between dimensions. In 1982, the portal was ruined when the carrousel was moved in the Fantasyland remodel. Where does one begin? Bosley’s theory is not going to be convincing to many readers. Though it may be a fun concept to mull your mind over. There is a certain charm about a book that argues that there are real fairies, at least until 1982, wandering around Fantasyland. But skeptics will probably not buy into Bosley’s theory. Additionally, the writing itself using a vocabulary around ley lines and other supernatural theories that may be an obstacle for some readers. I admit it, during some of the descriptions of how the Fantasyland machine was built and used, my reading pace quickened. But it appears there is an entire group of speculative literature that this would fall within and share a common audience with that I do not read. And I am guessing many Disney history buffs will be in the same position. I think one’s final opinion on Latitude33 will be based on your reading objective. If you hope to be persuaded, you likely will keep your skeptical position. But if you are looking for a flight of fancy, allowing yourself to believe that real magic exists within Walt Disney’s original magic kingdom, you will enjoy the imaginative trip. I do have some thoughts on the whom behind the Fantasyland machine. Bosley argues that C.V. Wood, who helped build the park to the extent he bragged he not Walt Disney should take credit, was aware of the ley line intersection and intentionally built the machine. First, I think C.V. Wood would be delighted that such a theory would exist about his work at Disneyland. From reading books including Buzz Prices’s memoir, one who may have actually been a friend to Wood (it is tough to know if Wood truly had friends), it becomes clear that Wood was little bit of a scoundrel and would have loved being labeled magical. It seems to me that in many ways C.V. Wood was an excellent self-promoter, and this theory would have only added to his legend. If he were alive today I could actually see him making statements supporting the book. Second, much of Bosley’s reasoning for why Wood would have most likely been the architect of the machine is because Disney has stated little of him in their corporate history. Bosley argues this proves something atypical was occurring because why would Disney be hiding the memory of such an important employee. But I think the answer has simple non-supernatural answers. Walt Disney and C.V. Wood clearly had a falling out, and Disney was not one to celebrate the efforts of those he was no longer on speaking terms with. Disney as a company is notorious for hiding the legacy of out of favor past employees even today. For example, we rarely hear Disney say anything positive or negative about from CEO Michael Eisner. Disney has long used silence to their benefit. And there was no Walt Disney Archives until after Walt Disney’s death and over a decade after Wood was fired. In short, nothing of Wood’s contributions may have been kept! This was a time when keeping materials lacked the urgency we see today. Bosley does take the opportunity to bash the Eisner Era and beyond, “It seems the hunger for money from the park may have undermined its whole purpose (Bosley, Loc 1343).” I have heard many a Disney fan express similar thoughts on Disney magic. Bosley of course means that those responsible for moving the carrousel ruined the real magic for the love of money. Many other Disney fans would argue that the not financially supporting maintenance and upkeep during eras of the park history has ruined the Imagineered magic. If Wood is the hero of Latitude 33, then Eisner and those who worship money, in Bosley’s opinion, are the villains! Latitude 33 has been poorly formatted for Kindle devices. Some pages are largely blank after a line of two, with the ending sentence concluding on the next page. Additionally some text blocks are oddly shaped. In the end you get what you pay for at 99 cents. But for a book trying to persuade you to accept a theory the formatting is a major detriment. Latitude 33 by Walter Bosley for me was a flight of fancy and fun reading near Halloween. I enjoyed the idea of real fairies within my beloved theme park. The idea that Disneyland is built on a true magical intersection is truly fun. But for me, it was just that, a flight of fancy. It is enjoyable to believe in a little magic. Perhaps I will be convinced in the future if the King Arthur Carrousel is every placed back on top of its proper home! Who knows, maybe if the portal opened again, we could interview those Legends that we have lost! As I write this, I am eating Dole Whip….in Betweenland! When I wrote the history of Dole Whip for Celebrations, Precision Foods mentioned that the mix was becoming popular in self-serve yogurt stores. I had never seen one of these at the time I completed my interview I had never visited a yogurt store. Honestly, I had no idea what was being described. Months later one opened in my area, and I have visited it a few times. Every time I entered hoping that pineapple would be an option. And every time I was disappointed. Recently I traveled through Betweenland and visited an Orangeleaf. My friends claimed that pineapple was often an option. When I visited, no dice! And I inspected the wall showing all their options and at least at this store pineapple was not a possibility. I had come home defeated! I asked the clerk if she knew if the mix was from Precision Foods in order to verify that it was authentic and not a knockoff mix. She was unaware of the mixes' origins and a few seconds later I realized its origins were relevant, because the taste and texture is right! It may not look as pretty, but it had me at first bite! The store located in downtown Minneapolis is called (yo)gurt[lab]. There appears to be four locations throughout the Twin Cities. They had me at first taste! This is only the second time I have found Dole Whip in the wild, and this source should hopefully be more consistent. The first is truly temporary, the Minnesota State Fair. And I do not like to go there, it's crazier than Walt Disney World on the 4th of July! Now, where can I get cold pineapple juice? I feel the need for a Dole Whip float! Honestly, we had a fantastic superhero summer. And I really applaud Marvel and Disney for providing us The Avengers, which was action packed and super super fun. But with The Dark Knight Rises, behind us and not finding time to watch Looper yet, the latest James Bond offering of Skyfall was all that I had to look forward to in future live action offerings. 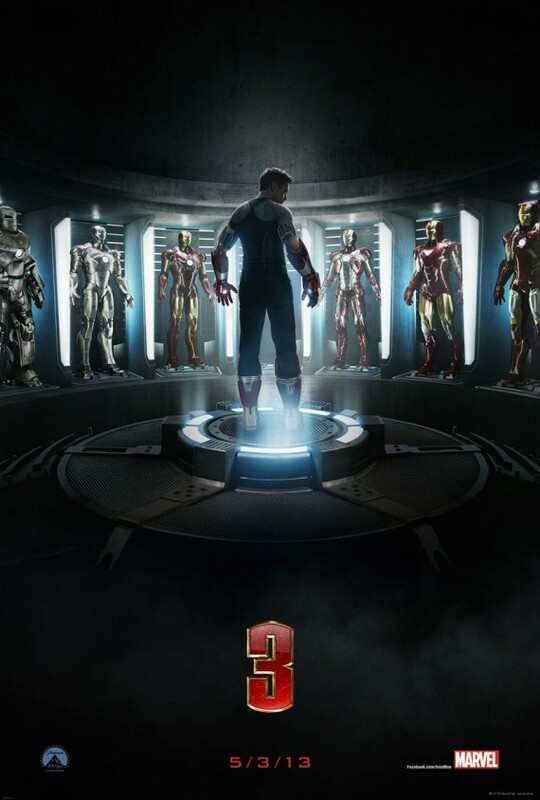 And then Marvel released the first trailer for Iron Man 3! Building on The Avengers and its recent home video release, well I got excited again. What did you think? Things explode a lot, including things I do not really want to see destroyed. Tony mentions New York, a clear reference to The Avengers and how it changed him. He clearly is not mentally doing well when Iron Man 3 opens. I do question how his friend Captain America or at least a few random S.H.I.E.L.D. agents do not show up when someone blows up Tony Stark’s mansion! But maybe that will be explained in the movie, or maybe they will be there. I am not sure about Ben Kingsley as The Mandarin yet. He does look super creepy, give that guy a nice refreshing shower. Thank you Marvel and Disney for getting me excited for May 3, 2013, and giving me a reason to get excited for live action again! I just hope this installment is as Mousey as Iron Man and Iron Man 2. 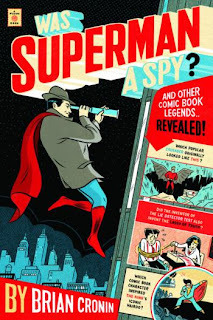 Between Books - Was Superman a Spy? 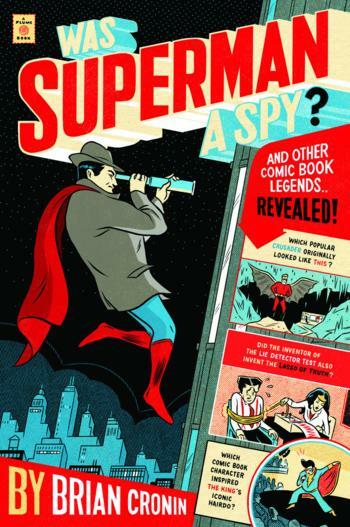 Was Superman A Spy? : And Other Comic Book Legends Revealed! recounts anecdotes from the history of popular comic book titles. Author Brian Cronin organizes his book into sections on DC, Marvel and other comic book companies. Within the sections are chapters on popular comic book superheroes such as Batman, Spider-Man and publishers such as Disney. Typically Cronin’s stories follow the origin of key titles and miscellaneous incidents from publishing history. Additionally there are a number of photos and comic art to visually support the tales. The big question is why should a Disney fan care about this book? First, with Marvel now being a Disney property, after the writing of this book, the history of Marvel will be of interest to general Disney enthusiasts. The print history of two characters found in The Avengers, Captain America and the Incredible Hulk both receive their own full chapters. But for me the Marvel history that I found the most interesting is the role of Stan Lee within the company. Cronin makes it clear that some Marvel colleagues resented Lee while fans celebrated him. Some, including prominent collaborators like Jack Kirby, saw Lee in the limelight as their own contributions were marginalized. Additionally, Lee’s somewhat faulty memory often led to their contributions being ignored by Lee himself. The Marvel Method, outlined by Cronin, developed by Lee also created antagonism. While Lee served as Marvel’s primary writer he could not give full attention to the numerous books he helmed. So instead of pre-writing stories he and the artist would discuss the general story concept. The artist would draw the story they discussed and then Lee would provide the script and narrative to the completed images. Lee would at times take the story in a different direction then the artists envisioned, leading to conflict between Lee and others. In many ways this method paints Lee as an almost Walt Disney figure, coordinating the efforts of many talented people much like Disney did with his animators and Imagineers. Second, Cronin provides an entire chapter about Disney comics. Though I have not read any of these in depth, I did find the chapter highly interesting. I did not realize that Scrooge McDuck originated in print and not in an animated short or feature. I think most savvy Disney fans would be interested in reading of a storyline suggested by Walt Disney himself around a suicidal Mickey Mouse. Additionally, I enjoyed reading about Disney’s conflicts with Marvel, pre-Disney ownership, over the character Howard the Duck and similarities to Donald Duck. I found the concession of forcing Howard to always wear pants highly amusing. Finally, Disney is sprinkled throughout the book. The Batman chapter makes references to the use of the Batman theme song to train Dolphins at Epcot. And there is a discussion about how Snow White and the Seven Dwarfs impacted the budget of the Fleischer Brothers Studio’s Superman shorts. Yes, the impacts of Disney properties are spread throughout this book. A friend loaned me Was Superman a Spy? because of the Disney chapter. I found the book easy to read, but broken into episodes which at times left the reader wanting to know more about these titles. Of course, some of these titles have had entire books written about them. I would recommend this book to those who want to dip their toes into comic history but not make a deep dive into any one title. But it is far from the definitive work on any of the topics included. In my day job, the one that pays for my Disney addiction, I work for a major university. And I have worked in higher education for well over a decade. During that time I have visited many college and university websites. Honestly, some are really useful, both full of information and easy to navigate. Others well are horrible, where the website actually blocks you from finding the information you need. So, I was really shocked and amused to be directed to the newest University website on the web,Monsters University. It has all the sections one would expect to find from a major university in the human world’s website. Sections for current students, faculty and alumni are really standard. And of course there plenty of information about athletics. The history of Monsters University seems very slim, but I have also seen human universities with history sections even more lacking. And it is a thrill to see the cutting edge research Monsters University is completing, answering the questions which is better one head or two. Monsters University is proud of its diversity, with monsters from every background and nationality. By valuing the uniqueness of every individual monster, MU hopes to create an atmosphere of open-mindedness and understanding. Through awareness and acceptance, students can learn to build relationships based on mutual respect, clear communication, conflict avoidance, and positive affirmation. All monsters are unique -- by heritage, number of appendages, or simply number of eyes -- and all monsters deserve respect. The Basic Monster Respect program creates a safe environment for personal growth and cultural education, where students can learn to judge each other by content of character, not color of fur. A place where more arms means more hugs not more fists, where all students put their heads together to solve problems whether they have two heads or just the one. The site is far from static. One can access, the university store and buy actual Monsters University gear. Some of the items that one can pursue are very amusing. They are also in my opinion really pricey! And the part I am most hopeful for is the login to the M.U. Net portal, just like a real school. I cannot wait to get my hands onto an ID number so I can create an account and access student specific information. Clearly there is more to come. Maybe the ID number comes when we get to apply to Monsters University next semester! Congratulations Disney Marketing you have my attention. I love this site! I love this viral campaign and the pains taken to make it look better than many higher education website, complete with the right sort of content. Alas, I am not willing to forgive for John Carter. And I wonder why movies that will be clear hits in Monsters University and Wreck-It Ralph are getting the most innovative marketing? I have not shared trailers of Monsters University at work, but working in higher education I have shared the Monsters University website with colleagues. I applaud this effort, but would like to see similar efforts for movies that are likely to have smaller visibility in the marketplace.